Palestinian medical sources have reported that Israeli soldiers injured, on Saturday evening, eighteen young men in the northern, central and southern parts of the Gaza Strip. The sources stated that the soldiers fired many live rounds at protesters, near the perimeter fence, east of Jabalia, in northern Gaza, wounding fifteen, after several Palestinians managed to cut sections of the fence. Furthermore, an Israeli drone fired a missile at several Palestinians near Abu Safiyya area, in northern Gaza, without causing injuries. In Khan Younis, in the southern part of the coastal region, Palestinian protesters burnt tires and launched fireworks, in addition to using laser pointers directed at Israeli military sniper posts, across the fence. The soldiers also shot two Palestinians, including a photojournalist, with live fire east of Khuza’a town, near Khan Younis. Earlier Saturday, the soldiers fired live rounds at Palestinian protesters near the Return March camp, east of the al-Boreij refugee camp, in central Gaza, wounding one of them. 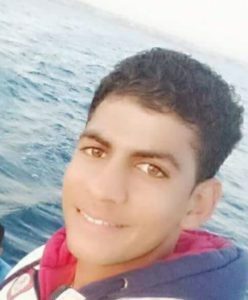 On Friday, Israeli soldiers killed a young man, identified as Karim Mohammad Kollab, 25, and injured 312 other Palestinians, including 54 with live fire, after the army attacked the Great Return March processions, in several parts of the Gaza Strip. It is worth mentioning that the Health Ministry has reported, Saturday, that the soldiers have killed 184 Palestinians, and injured 20472 others, in the period between March 30th, the beginning of the Great Return March, until September 21, 2018. It stated that the soldiers killed 32 Palestinian children, and three women, in addition to wounding 3840 children and 1874 women. Among the slain Palestinians are three medics, while 397 medics were injured, some with live fire and the rest suffered the effects of teargas inhalation. The soldiers also caused damage to 76 ambulances after targeting them with live fire and gas bombs. 448 of the injured Palestinians suffered serious wounds, 4876 suffered moderate wounds, and 15148 sustained minor injuries. 5139 Palestinians were shot with live ammunition, 542 with rubber-coated steel bullets, 8581 suffered severe effects of teargas inhalation, and 6210 sustained various cuts and bruises, and other types of injuries. Furthermore, 754 of the wounded Palestinians were shot in the head and neck, 442 in the chest and back, 473 in the abdomen and pelvis; 1510 in the upper limbs, and 6522 in the lower limbs, and 2210 suffered other types of wounds, cuts or burns. 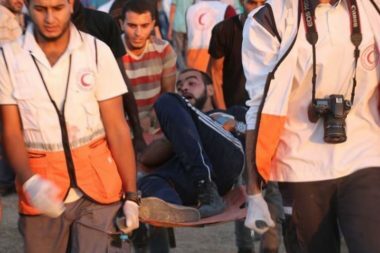 The Health Ministry also said that 76 of the wounded Palestinians suffered amputation of limbs; 68 of them had their lower limbs amputated, and 2 upper limbs, in addition to 6 who suffered amputation of fingers.